The vast majority of transactions that you’ll make during your lifetime will be fairly quick and straightforward. It happens so often, you barely have to think about it. You know the drill. You walk into the coffee shop, order that grande, sugared caffeine with soy milk from the barista, swipe your card, and walk away. Simple. Just minutes later and you’re striding off with delicious energy and sweet sanity in an insulated cup. Purchasing a home, however, is nowhere near as easy. (Shocker!) In any real estate transaction, there are multiple parties involved; a buyer, a seller, some real estate agents, underwriters, inspectors, maybe a lender, and plenty more. All of these people have important roles to play, and each represents a key milestone along the way. But anything with “milestones” as a component usually means it’s going to take a while. 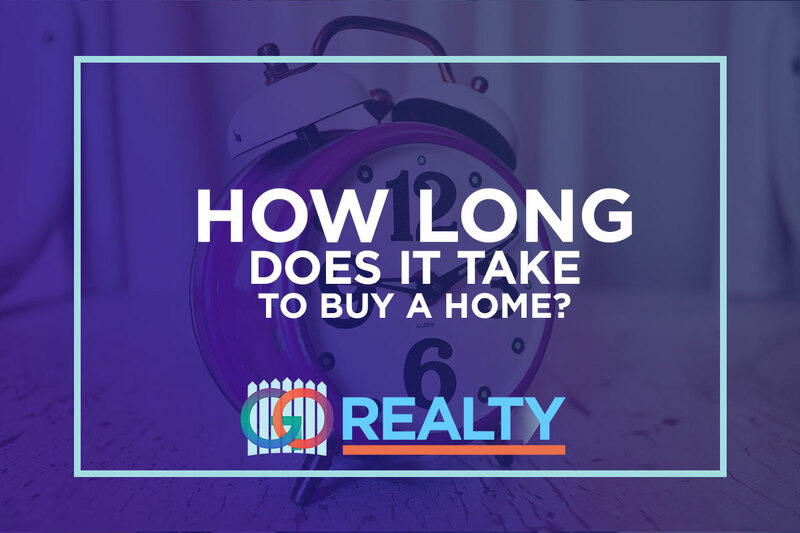 So then, how long does it take to buy a new house? The short and quick answer to this question is 45 to 90 days from start to finish… but there’s really no exact number or guaranteed length of time. Each home purchase is different and there are several steps along the way which can either expedite the process or prolong it. So, that 45/90 day ballpark? That timeframe will really only hold if all stages of the home buying process go off without a hitch. However, as most real estate agents will tell you, almost all real estate deals will hit a speed bump or two along the way. We know. Bummer right? Way it goes, kiddo. The good news: we’ve seen it all before, and happen to know how you can increase your chances of a speedier purchase, with fewer hiccups. Here are some tips for making your home-purchase happen in as little time as possible. Make sure that you have been pre-approved for a mortgage before you even begin searching for homes to buy. This will give you a better idea of how much you can afford to spend and will get the ball rolling on all of the paperwork that will need to be completed before you can close on the deal. Most REALTORS® won’t even take you on showing appointments without this step, so you might as well check it off your list. Once you have been pre-approved, try to limit your search to homes that are strictly within your budget. You can waste a lot of time looking at homes that are too expensive and trying to haggle down the price. For a quick closing, stick to what you can afford. The amount of time it takes to find your chosen home can also vary greatly, depending on the market and the time of year. If home inventory is low, it may take you a little more time to find the perfect house that ticks all the boxes for you. Finding a house with rare or unique features may also take you a little while longer (i.e., a pool, garage-apartment, home-theater, or mother-in-law suite, panic or room). YOU are also a factor. Your motivation and dedication to the process will also impact how quickly the shopping process can take. On average, buyers should prepare to spend about 30-60 days searching for a home. Once you’re under contract on your home, there’s a period called contract-to-close. This part of the transaction varies depending on whether you’re buying your home outright with cash or if you’re financing your home with a lender. A purchase that is not contingent upon obtaining financing (i.e., a cash offer) can be significantly quicker than one that has a mortgage. A reasonable timeline for a cash purchase could be as little as two weeks – sometimes less. Traditionally that timeline is determined by how quickly the closing attorneys or title company can perform a title search, get the title binder together, and prepare other necessary closing documents. A contract contingent upon obtaining financing (i.e., a home loan) can take approximately 40-60 days from contract to close. On average a homebuyer will spend 30-60 days shopping, 14-60 days from contract to close, and likely 14-45 days or so before your first mortgage payment is due. For some folks, the process will be extremely quick and take as little as 30 days. For some, the shopping period alone can last months and months. A healthy expectation of how long it’ll take would be approximately three months from beginning to end. Everybody’s story is a little different but these should give you a good frame of reference. Following these tips might help you navigate the process and get you to the endgame a lot quicker. Bottom line: if you’re patient, steadfast, and heed the valuable advice of your real estate agent, you will have the keys to your new home before too long.